If you're going to wrap yourself up to keep out the cold, you need to do so in style! 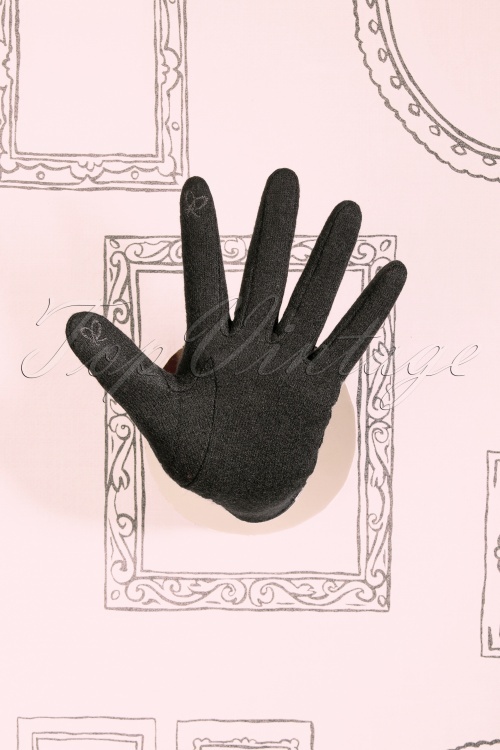 For example, with these 50s Lorena Wool Gloves in Black! These gloves are made of a black wool blend that is lovely soft and warm and finished off with white stitching and a small fixed leather belt! And even though these gloves have a very vintage look, they're definitely designed for the modern woman! Due to the special technology on the thumb and index finger, it's possible to operate your mobile phone without taking these beauties off, so handy!